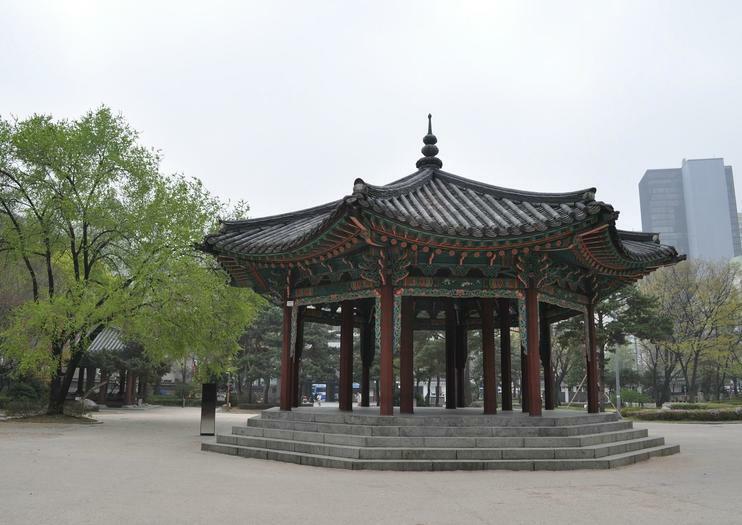 Formerly known as Pagoda Park, this small public gathering place was once the home of a Buddhist temple and still holds an important place in Korean history. This significance dates back to the March 1 Movement, part of the nation’s push for independence from Japanese rule, which began here in 1919. Despite its historical significance, Tapgol Park tends to remain under the radar of most visitors to the South Korean capital. Since few tours include the site, it’s often a quiet spot to get some fresh air and learn a bit more about Seoul’s history. Those with an interest in the supernatural or spooky can visit as part of an evening ghost tour, as the park was purportedly the site where jilted lovers once took their own lives. Tapgol Park is a must-visit for those interested in South Korean history. Tapgol Park has wheelchair-accessible pathways, restrooms, and parking. To reach Tapgol Park, take the Seoul Subway to Jongno 3(sam)-ga Station (lines 1, 3, and 5) and leave through exit 1. The park is about five minutes away on foot. The best time to visit the park is in the morning or late afternoon in summer, when temperatures are cool, or anytime during the autumn and spring months. This park, the first of its kind in Seoul, was built in 1897 on the grounds of the Wongaksa Temple, which had been destroyed by fire in 1504. All that remains of the temple is a 10-tier marble pagoda covered in intricate carvings. You’ll find it encased in a glass box toward the back of the park. Murals behind the pagoda depict moments from the March 1 Movement.